While Empire meets all the needs for the safety of your fireplace and home, they also have met and exceeded all the needs of the aesthetics of your home. 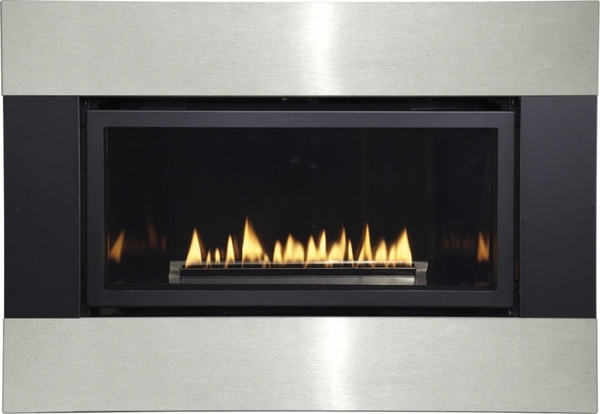 The matte black or stainless steel and matte black combination are the perfect metals to demonstrate the beauty of your home and the beauty of the dancing flame. The Empire Decorative 4-sided metal surround with barrier screen for medium loft-direct vent fireplaces will bring a modern touch to your traditional space. Allowing you to feel the warmth of the fireplace, and enjoy the stylish accessories the front bears. Empire allows you to bring home the perfect fireplace.